Response to Lamborghini's 6min 52.01sec Nurburgring lap time in the new Huracan Performante has followed the established pattern. First you get the 'wow, great time, driver must have a set' astonishment, swiftly followed by the conspiracy theories about tickled turbos, secret sticky tyres or - in this case - sped up video footage. Can we just agree that a 640hp Huracan with 40kg stripped out of it and some very clever active aero is going to be ruddy fast? Because it will be. Consider the Huracan Performante as Lamborghini 'doing a Speciale', though the ultimate proof will of course be in the driving. On paper the signs are - mainly - good. The Performante keeps the standard Huracan LP610's four-wheel drive and can be optioned with the controversial Lamborghini Dynamic Steering if you so wish - both this and the passive system are said to be recalibrated, the LDS with a narrower range of rack variance in the Corsa setting for more consistent feel. At last a Huracan with decent steering feel? We can hope. No such fear with the 5.2-litre V10, which sounds absolutely stellar. 640hp at 8,000rpm and 442lb ft at 6,000rpm are up from 610hp and 413lb ft in the standard car and pleasingly off-message in this age of turbos, hybrids and diesel-like torque curves. Lamborghini does boast of 70 per cent of torque available at just 1,000rpm but it's clear this is a proper naturally-aspirated screamer. Breathing has been improved, titanium valves fitted and there's a new twin-pipe exhaust exiting in the middle of the rear valance. We're promised a "more aggressive" sound too. Because the standard one is so meek and mild, right? A bronze coloured manifold seen previously on other Lamborghini specials is also fitted. Driving through the existing dual-clutch auto it's good for 0-62mph in 2.9 seconds - three tenths faster than the LP610 - and 0-125mph in 8.9 seconds. Quick, but by the latter benchmark over a second off the pace of the new McLaren Super Series also making its debut in Geneva. 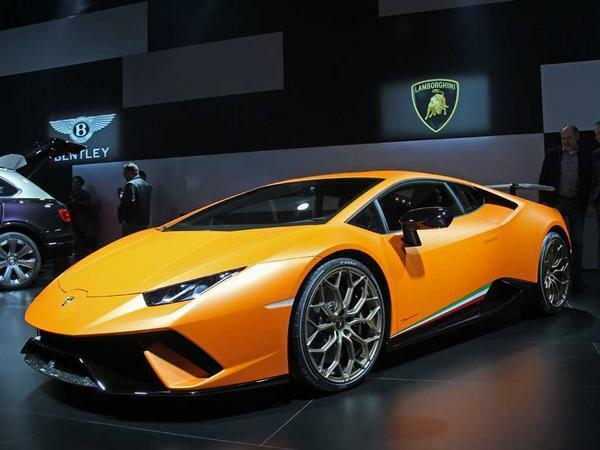 Acceleration figures aren't the numbers the Performante is chasing of course. Rather it's lap times. Two main factors contribute to this - weight and aero. 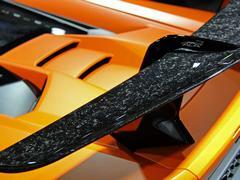 With a dry kerb weight of 1,382kg a total of 40kg has been stripped out through extensive use of Lamborghini's Forged Composite, which uses chopped carbon rather than weave to form complex shapes. This is used for the front and rear spoilers, the engine lid, rear bumper and diffuser, while a plexiglas cover lets you see that engine in all its glory. The aero is where it gets really clever though. When the Aerodinamica Lamborghini Attiva (ALA) system is 'off' the air is directed over the front splitter and fixed rear wing for maximum downforce. Indeed, Lamborghini claims an astonishing 750 per cent increase over the standard Huracan in this configuration. 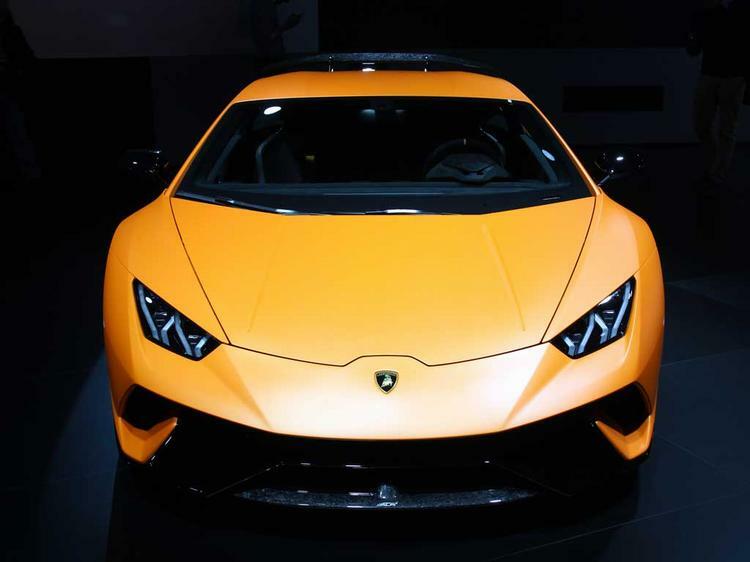 When the 'real time' Lamborghini Piattaforma Inerziale (LPI) black boxes decide you need reduced drag for acceleration or top speed a flap opens in the front bumper to reduce pressure and direct the air under the car. At the same time two of four intakes in the rear deck open and bleed air under the rear wing to reduce drag. Where it gets really clever is when ALA and LPI work together, the system able to vary pressure across the rear wing according to lateral load to increase downforce on the otherwise unloaded inner wheel. 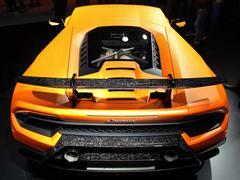 And it reacts quickly - the response time just 500 milliseconds. When the Huracan originally launched R&D boss Maurizio Reggiani told us the gyroscopically controlled LPI system was a cut above anything else available; in the Performante its potential appears to have been fully realised. Elsewhere the tweaks are less dramatic, vertical stiffness increased by 10 per cent and roll by 15 per cent while the bushings are significantly stiffer. Bronze coloured 'Narvi' wheels mark the Performante out, 'Loge' centre-locks also available. Fitted to them is a choice of Pirelli P Zero Corsa or street legal Trofeo R tyres, both specifically tuned to work with the increased downforce. We'll assume Mapelli was on the latter for his lap. Deliveries of the Performante start in the summer, the UK price confirmed as £173,271 plus taxes so getting on for £210,000 with VAT added - roughly a £30K premium over the LP610-4. 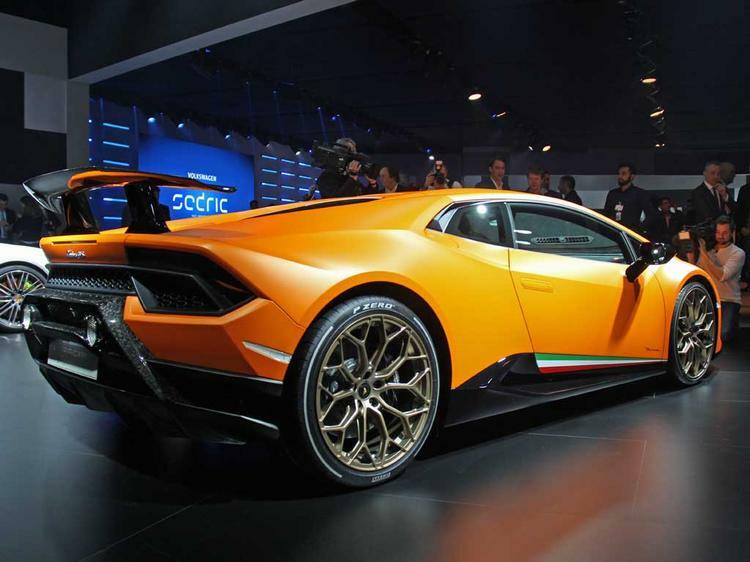 There's no mention of any fixed limit to the production run but we'll work on the basis that supply will be managed so as to preserve the Performante's status. Your move Ferrari - it'll be interesting to see how the 488 GTB's 'Speciale' variant, whatever it ends up being called, responds to Lamborghini's new-found enthusiasm for lap times and track ability. what is ... "a dry kerb weight of 1,382kg"
Nice car. 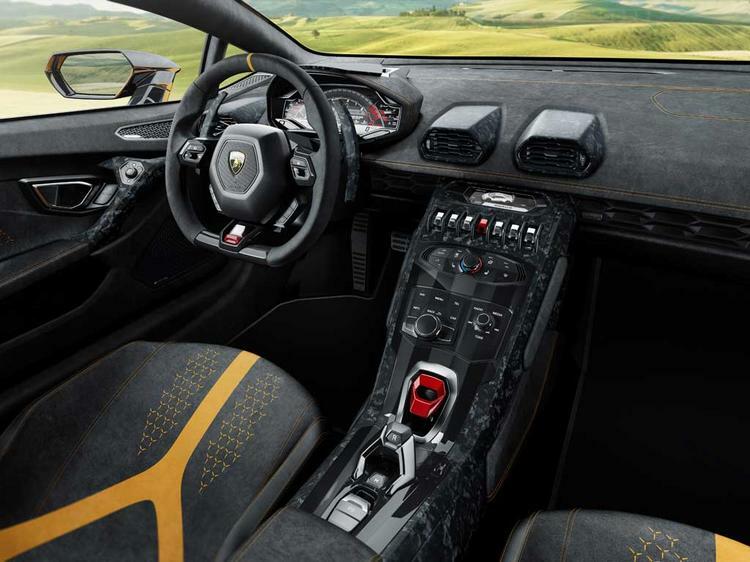 Not the wildest styling for a Lambo. Funny how they now glide over acceleration times and focus on the track time. Those pesky blown Maccas and Fezzas. Feel they've missed a trick not offering RWD and a manual box for this car but nice car nonetheless. It looks great, and I'm sure it will be, but I don't for a second believe it actually did that lap time without massive modifications. Not very light, 750% of what? Does the standard car have any downforce at all?! And a not very powerful engine.. I love it, but bulls t!